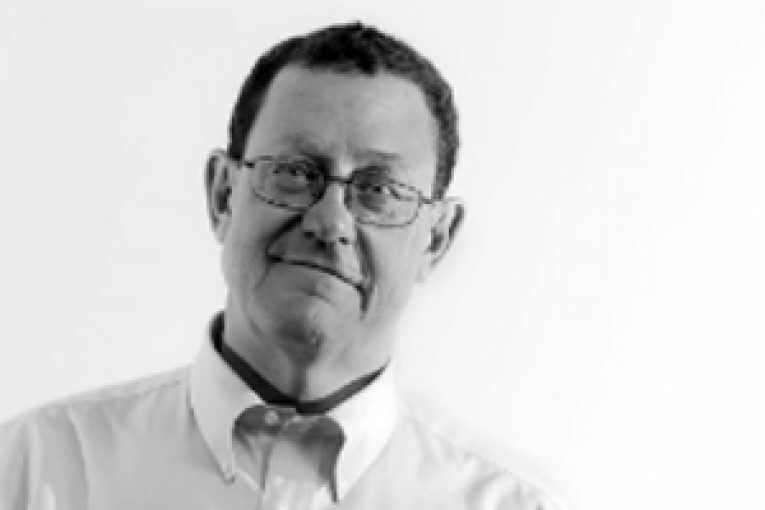 David Yager – Yager Management Ltd. Heads up folks. Alberta’s NDP government is setting out to fix things again. The headline August 16 in the Edmonton Journal and Calgary Herald was innocuous enough reading, “Alberta’s occupational health and safety act under review”. The brief article opened with, “Alberta’s occupational health and safety (OH&S) act will undergo its first comprehensive review since it came into effect more than four decades ago, the government announced…”. Minister Christina Gray stated the province would look at everything from complaints to enforcement stating, “…we are still seeing too many stories of workplace incidents that could have been avoided”. Obviously, the theoretical target for accidents is zero. Improvement is possible; perfection is not. While the government announcement seems harmless enough, the oilpatch is learning to be cautious when Alberta Federation of Labor president and public NDP government supporter and affiliate Gil McGowan provides reinforcing commentary. McGowan stated in a news release, “Workers deserve the benefit of the latest research to protect their health and safety, particularly in dangerous fields. No worker should have to work in unsafe, unprotected conditions for decades simply because we lack legal mechanisms to address a known problem”. The implication is enlightened legislation will right wrong historic wrongs for worker protection. More and better government can fix anything. If only it were that simple. The article said there will be two months of public submissions. This is not dissimilar to the way the government handled prior revisions to labor policy and farm safety. So far the NDP has reached its conclusions in advance but goes through the exercise of public consultation. The article wrote United Conservative Party labor critic Glenn van Dijken was critical of the process the government used to change labor legislation. He said, “These documents (obtained from non-profit Keep Alberta Working) make it clear – the government’s consultations on this (labor) legislation, especially with respect to labor code changes, were a sham”. What does the NDP have in mind for safety, particularly oil and gas? The tone of the review is framed by using platitudes that are always difficult to challenge. Treat workers fairly and ensure a safe work environment. No argument there. The upstream oil and gas industry has most often been described as exceedingly dangerous, an industry where young people seeking higher wages go to work and return home injured or never come home at all. If the mission is to make the workplace safer, how could trying harder be wrong? The reality is the seldom-recognized fact the oilpatch is the safest industry in Alberta by virtually every measure. It has been a long and arduous process dating back 30 years. Hopefully, zealous New Democrats determined to fix problems that may not exist will take the following into consideration. Thirty years ago, in early 1987, Alberta Minister of Community and Occupational Health Jim Dinning served notice that under his watch if the oil industry didn’t improve its safety record the government would do it for them. The prior year, 1986, had been brutal in the field. A terrible condensate explosion on a completion near Edson left several workers with severe burns. Well-intentioned but ill-conceived drilling incentives that expired December 31 put rigs with inexperienced crews to work over Christmas, a time when today’s oilpatch tries to shut down. The result was multiple fatalities. Back when he was owner/editor of an oilfield trade magazine, this writer reported in mid-1987 the average provincial 1986 LTA claim rate was 3.9 per 100 man-years worked, 13.3% lower than 1985. But for drilling and service rigs it was 16.0 per 100 (by 2010 this below 1.0), down marginally from 16.4 the prior year. This was after a 30% reduction in man-years worked because of the 1980s oil price collapse. Something was seriously wrong. Dinning certainly got everyone’s attention. He told this writer he’d rather have industry fix itself than have the government intervene. But if nothing changed, the heavy hand of government enforcement was on its way. The industry responded with a joint initiative called the Upstream Petroleum Industry Task Force on Safety, or UPITFOS. It was negotiated then signed in 1988 by the Canadian Petroleum Association, Independent Petroleum Association of Canada, Canadian Association of Oilwell Drilling Contractors, Petroleum Services Association of Canada and the Small Explorers and Producers Association of Canada. CAPP wrote 26 years later that what UPITFOS accomplished was a process whereby the industry, “strongly believes that the ultimate responsibility for improved safety performance lies with senior management of individual companies in the industry”. This included the oil companies because they had a major impact on how the vendors performed on the job. Without rewriting any provincial legislation, UPITFOS agreed upon industry-wide standards and procedures to ensure all workers were properly trained and equipped. It became almost impossible to enter a jobsite without required safety training certification, orientation and PPE. Industry Recommended Practices (IRPs) were developed for higher risk operations like well testing and pressure pumping. Concurrently, a basic standardized safety program called Certificate of Recognition, or COR, became mandatory. Not by law, but a self-enforced rule required to get work from a responsible oil company. Safety was to become a culture, not just a manual or regulations. Thirty years later the results have been spectacular. 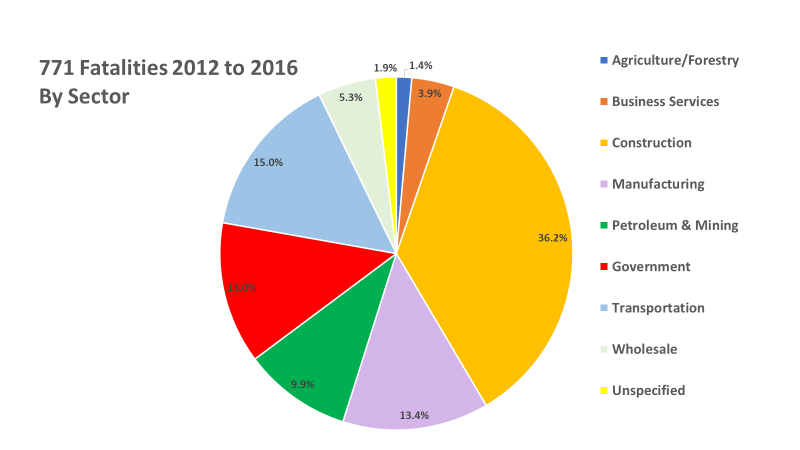 According to Alberta’s OHS report for 2016, “Mining and Petroleum Development” was the safest industry the province and has been for years. Here’s the statistics. Every year Alberta Labor’s OH&S department compiles a summary of worker safety for the prior year. The reports have changed but the general trend for the past decade has been one of continuous improvement. 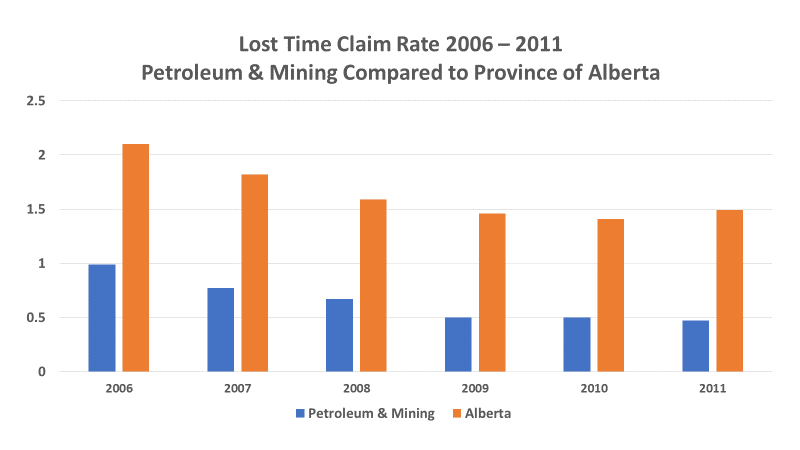 For example, the average provincial lost-time claim rate in 2007 was 2.10. This figure had fallen to 1.25 by 2016. The disabling injury claim rate enjoyed similar success declining from 3.77 in 2007 to 2.36 last year. 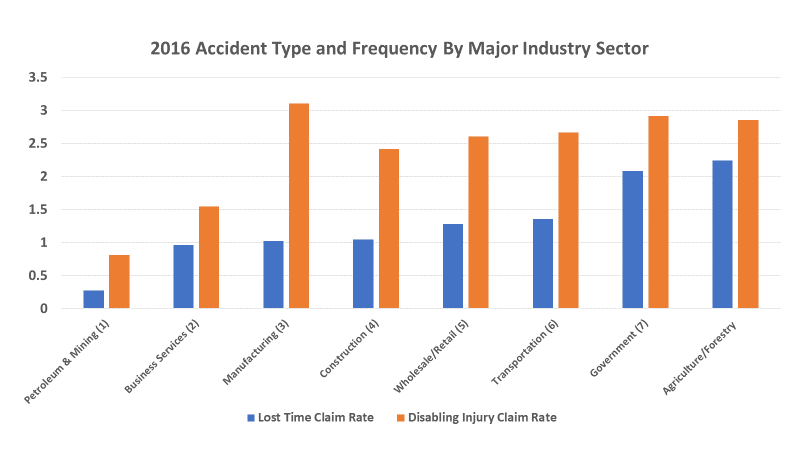 Notice which other industries have much higher rates of accidents. This includes white collar office jobs, retail services, and even government agencies. They don’t have any of the hazards oil and gas is stuck with such as flammable hydrocarbons, poison gas, toxic chemicals, high pressures, heavy equipment and remote locations. What are they doing to each on these job sites? The foregoing charts indicate that contrary to what is generally reported to the public, there are two conclusions that rarely make headlines. Petroleum and mining is the safest industry in Alberta in terms of lost time accident and disabling injury frequency. The industries that experience the most injuries and fatalities – construction, transportation, manufacturing and government agencies – are rarely if ever recognized as such. One reaction to these statistics might be that 2016 was an exceptionally slow year for oil and gas and this has therefore skewed the statistics because the number of workers and their working hours was greatly reduced. Nobody moves, nobody gets hurt. Except the continuously improving safety performance of the oilpatch is part of a multiyear trend. The following chart illustrates a key safety performance metric from 2006 to 2012, when all but 2009 were very robust years for oil and gas investment, drilling and employment. In most of these years the ‘patch was booming. New hires and workers coming in from across Canada were the rule, not the exception. What is noteworthy is the continuing safety improvement of the oil and gas industry was done within the framework of existing OH&S legislation which, according to the government, has not been reviewed in four decades. This is reflective of something known to everyone who cares about protecting workers and how successful organizations operate; the delivery of truly successful workplace safety is achieved not by regulation or legislation but by the adoption of a company-wide safety culture on the job. So as the NDP government goes down the path of fixing yet-another component of how Alberta is governed, one can only hope those who speak for the oil and gas industry will participate in the consultation process and hopefully achieve recognition for success that was achieved primarily by the conscious commitment of the industry, not by the heavy hand of government regulation. Based in Calgary, Alberta, David Yager is a former oilfield services executive and the principal of Yager Management Ltd. Yager Management provides management consultancy services to the oilfield services industry in a number of areas including M&A, Strategic Planning, Restructuring and Marketing. He has been writing about the upstream oil and gas industry and energy policy and issues since 1979.